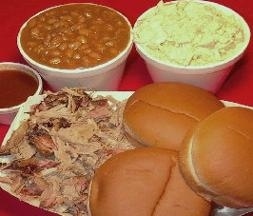 Triple R Bar-B-Q serves Scottsboro, AL and is located in the 35769-3562 ZIP code. Good BBQ and very nice service. I like their combo plates and all of their sides are excellent. I also like their ribs. Good place to stop on the way to Chattanooga. The BBQ place is near the unclaimed baggage store. It is reasonable. The brunswick stew is good. The chopped bbq sandwich is good. It isn't the best BBQ I've ever had but it is good for this area. This barbecue joint is just west of the Tennessee River in Scottsboro, Ala. 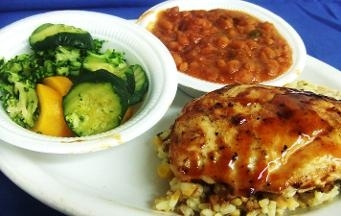 It offers good food at reasonable prices. 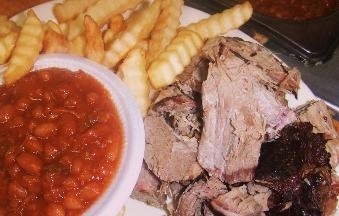 The hickory smoked pork barbecue is well worth the visit if you are in the area.